In news that was a little different, last week saw the newest Great Lakes cruise ship, the 210-berth Saint Laurent, involved in an incident in a lock in the St Lawrence Seaway that saw her sustain a 10-foot gash to her bow and will cause the loss of two cruises while she is repaired. Elsewhere, we have a look at Carnival’s biggest new orders, all intended for Costa group brands, as they compare to Royal Caribbean’s Oasis class ships. And finally, Cruiseco are offering more fly/cruise opportunities on their river cruise operations in Southeast Asia. 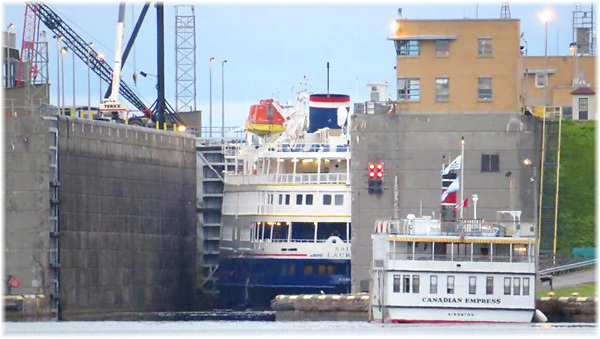 In a freak accident on the US side of the St Lawrence Seaway last Thursday, June 18, the 210-berth Saint Laurent charged into a lock gate protector on the Eisenhower Lock at Massena NY while upbound from Montreal to Toronto. At the time, the ship was operating under charter to Paris-based Rivages du Monde and had on board 192 passengers and 81 crew. According to the ship’s managers, Fleetpro Ocean of Miami, 19 passengers and three crew were taken to hospital, suffering from minor injuries sustained in the impact. While passengers spent the night on board in the emptied lock chamber, one passenger and a crew member were said to have been retained for further observation. The lock had been emptied as a precaution to prevent the ship from sinking and tying up the waterway. In the event, however, the Seaway was closed for 42 hours. After divers inspected the damage, the Saint Laurent was freed on Saturday afternoon with the help of a tug from Montreal. Damage was restricted to the bow and the Saint Laurent departed Massena yesterday under her own power, bound for repair at the Verreault shipyard at Les Méchins, Quebec, where she is due at 1300 hours tomorrow. 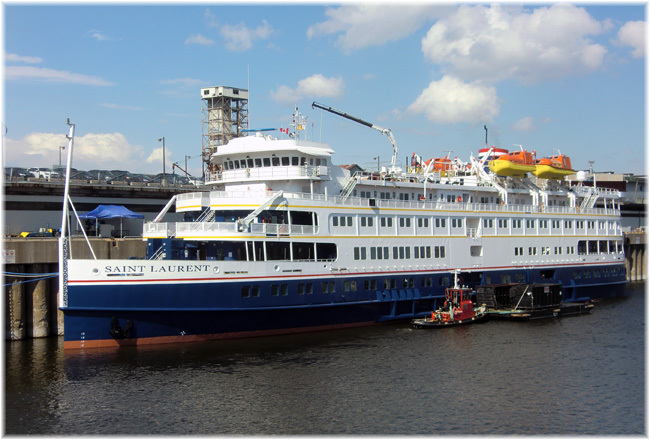 The Saint Laurent had opened the Montreal cruise season this year with her first cruise of the season boarding on May 12, after arriving from a $3.5 million refit in Charleston, and sailing the following day. Prior to re-entering service, the ship had spent most of her time in lay-up, first under the ownership of the US Maritime Administration as the Cape May Light, after the failure of original owners Delta Queen Coastal Voyages, and then as Sea Voyager under present owners, Bahamas-based Clipper Group, who acquired this ship and her sister ship Sea Discoverer in 2008. Aside from a few weeks service as Cape May Light in 2001, her only work has been as an accommodation ship, first for workers after the earthquake in Haiti in 2010, then at a mining project in Deception Bay, Quebec, in 2011, and later that same year as a student residence for a college near Baltimore. Passengers on board the present cruise, which boarded in Montreal last Wednesday, were refunded and flown back to Paris this weekend. It now appears that her June 26 cruise too will have to be cancelled, meaning the loss of two of their ten St Lawrence and Great Lakes cruises for Rivages this summer. Her usual itinerary for Rivages is a 9-night circuit, sailing from Montreal to Kingston, Toronto, Port Weller (for Niagara), Clayton NY, Quebec and Trois Rivières. If repairs can be completed on time, her next cruise is due to be a July 5 departure from Montreal to Chicago for head charterers Haimark Line of Chicago and Colorado. After returning from Chicago to Montreal for Haimark, half a dozen more cruises are planned by Rivages du Monde, departing Montreal on July 23, September 6, 15 and 24 and October 3 and 12. It is not yet known what caused the accident, but the vessel must have been travelling at some speed in the lock in order to cause the damage, with her bow stove in by about ten feet when she hit the ship arrester, a device meant to protect the lock gate from damage. As part of its recent nine-ship group order, Carnival Corp & plc has announced some of the details for four of the vessels, intended for Carnival’s Genoa-based Costa Group, which will have the biggest passenger capacity in the world. They will carry up to 6,600 passengers, which is more than the 6,300 maximum carried by Royal Caribbean’s Oasis class ships. The ships will also be dual-fuelled, capable of burning either the traditional marine diesel oil or by liquefied natural gas, which will eliminate some emissions and reduce others. Four ships have been ordered, all from Meyer Werft and for Costa Group brands. Two will be built at Papenburg for Aida Cruises, while two will be completed at Meyer’s newly-acquired Turku yard for other brands in the Costa Cruises Group, which could be either Costa Cruises itself or a new Chinese brand. 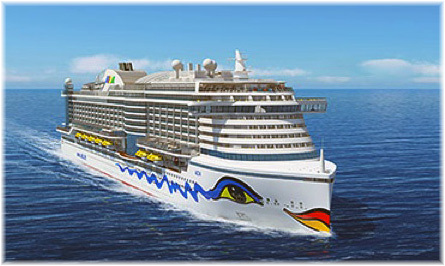 What the new ships will look like is not yet known, but there is a substantial difference in appearance between AidaPrima (2015), for example, the latest Aida Cruises ship and the 3,732-berth Costa Diadema (2013). That kind of frankly disrespectful headline says that, at least in North America, cruise lines, and more particularly Carnival, seem still to have a way to go when it comes to regaining public trust after some of the incidents of the past four years. What makes it even more worrying is that while the announcements come from Miami, these ships are actually intended for Carnival’s largest European subsidiary. Among its offers, Cruiseco, the Australia-based provider of cruising holidays, is offering guests the chance to take river cruise and land packages in both Myanmar and in Vietnam and Cambodia. 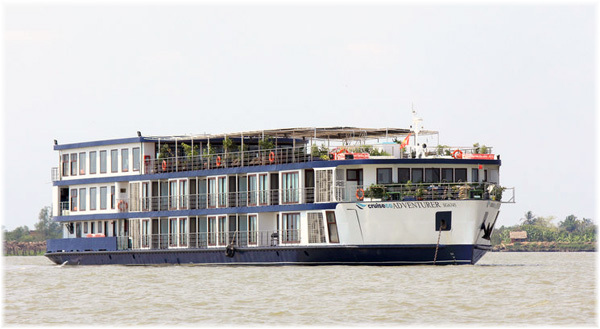 These 11-night programs are offered on board the custom-built 56-berth Cruiseco Explorer, introduced last November on the waters of the Irrawaddy, Upper Irrawaddy and Chindwin Rivers in Myanmar and the 60-berth Cruiseco Adventurer, introduced in 2007 on the Mekong River in Vietnam and Cambodia. 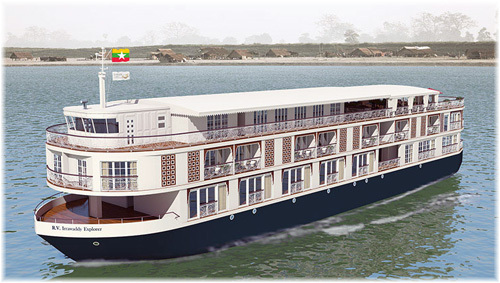 On Cruiseco Explorer, the operator’s latest river vessel, guests dine on a combination of Burmese and western cuisine. The vessel’s decor is clean, modern and spacious, with a traditional, yet stylish feel, and she accommodates 56 guests in expansive, luxurious cabins. 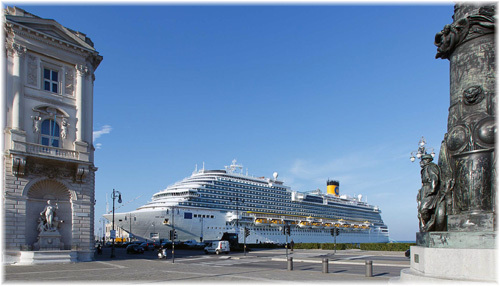 The sun deck, lounge, bar and restaurant can accommodate all passengers at one time. Fares for the 11-night Myanmar package start from £3,095 per person, based on twin share. The package includes return flights from London, 7 nights on board Cruiseco Explorer in a French balcony cabin between Mandalay and Prome, on board gratuities, local beers, soft drinks and wine served with lunch and dinner, plus 2 nights in Mandalay, 2 nights in Yangon, sightseeing with local guides, transfers and breakfast daily and lunch and dinner as specified in the itinerary. This week, Cruiseco has also started press advertising for its 11-night Vietnam and Cambodia program, with Sunday departures from London Heathrow scheduled from October 4, 2015, through January 31, 2016, and fares starting from £2,199 per person. This package includes return flights from London, 2 nights in Saigon, 2 nights in Siem Reap and 7 nights on board the Cruiseco Adventurer, along with the usual sightseeing, gratuities and transfers.